Much of anxiety therapy is designed as quick, focused intervention, treating a specific syndrome without looking at the possibility of long- term healing. However, true recovery requires something more: understanding the meaning of anxiety symptoms and going deeper to face their underlying sources in a holistic and life-changing way. 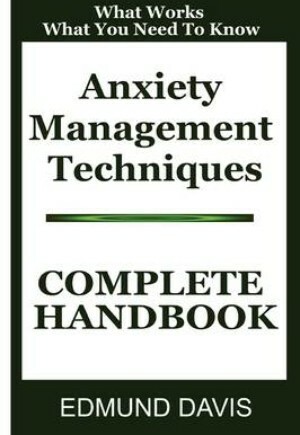 Anxiety Management Techniques provides an array of alternative strategies for entering this long-term healing mode; describes alternative therapies such as herbs, yoga, massage, acupuncture, and homeopathy; and addresses the impact of perfectionism and other personality issues.